Basically, a proposal can come in many forms and can be used for a multitude of things. For instance, you may run a graphic design company and you come across a business that you feel could really use your services. You will want to contact them with a formal proposal offering your services to them in a very professional manner. Now, this is just a basic sample and proposals are not only limited to service providers. 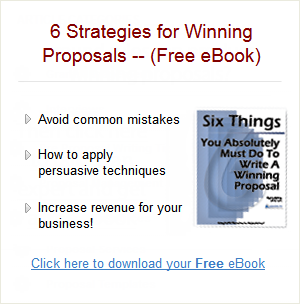 However, almost any type of proposal can be looked at as a sales pitch. When the reader receives your proposal, you will want them to take action after reading your proposal and hopefully that doesn’t mean that they toss your letter in their trash bin. Instead, your goal is to get them to believe in your proposal. Your goal is to show them with your proposal that they could benefit greatly from listening to and accepting your proposal. Since a proposal is basically nothing more than a giant sells pitch, you will want to make sure that your proposal is extremely professional, well written and well thought out. You will want to include a great deal of elements in your proposal, because if the proposal is accepted, you will have entered into a legally binding contract with the investor. Therefore, if you have no experience with writing proposals, you may want to check into proposal templates. Proposal templates are something that is going to make your life a whole lot easier. First of all, the proposal templates will come packed with the information and you just have to fill in the blanks. So, you will know what needs to be included in the proposal you are writing. Secondly, it will require much less work if you are using proposal templates. As stated above, instead of manually writing out your proposal, you will just have to fill in the blanks. Lastly, it is also extremely easy when writing out your proposal to accidentally leave out certain information that was important. With a template, you will be given everything you need and you will not forget a single thing. Proposal templates will also come with proper formatting which you are definitely going to need. Unfortunately, some companies will not even look at a proposal if it is not formatted to certain standards. So, in all honesty, without the help of a template, you run the risk of your proposal not even being looked at. A well written proposal will be read and will also be able to be read much more efficiently if the proposal was submitted in the proper format. In other words, it is highly advisable that you use a proposal template, especially if you do not have much experience with proposals. If you want to obtain proposal templates, some links below have been provided for you that should make the process a little bit easier. Also, you can get proposal templates for pretty much any Microsoft office program out there. So, that’s definitely something that you should also take into consideration. As stated above, there are many different proposals for many different things. This particular proposal template found in the link above is a proposal for services. So, if you have a service to offer, you may be very interested in dissecting this template or possibly using it.